Mark Lovett Web Design creates cutting edge, responsive, Bitcoin and cryptocurrency website designs. Cryptocurrency technology is young, but the blockchain technology that it’s built upon is rolling like a tidal wave upon the world with many other life changing changing applications as well. I constantly research and study the latest cryptocurrency and blockchain applications to enable effective implementation within WordPress websites and online businesses. 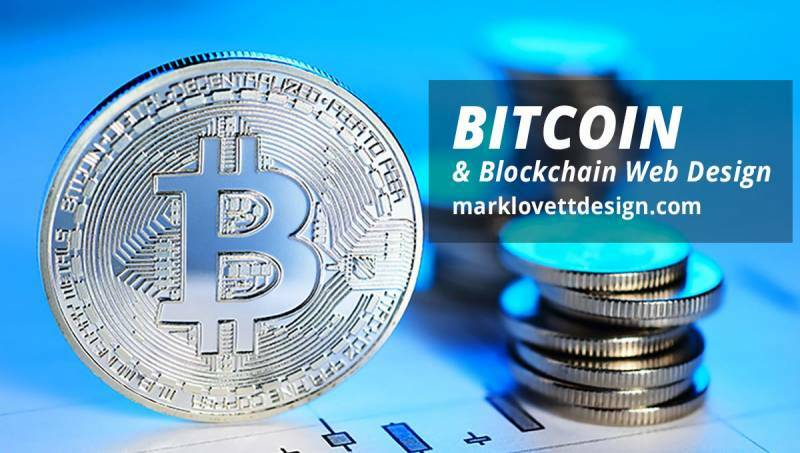 Mark Lovett Web Design creates expert Bitcoin organic Search Engine Optimization delivering top rankings for your cryptocurrency and blockchain keywords, generating leads and driving traffic and sales. Implementing powerful cryptocurrency SEO strategies to improve website search rankings for product pages, using SEO factors that influence Google’s local search algorithm to grow your blockchain based business in broad markets as well as specific local markets. A few of the eCommerce web design techniques that Mark Lovett Web Design implements are hassle-free Bitcoin checkout, user-friendly cryptocurrency elements, blockchain brand recognition, strong calls-to-action, clutter-free design, breadcrumb navigation and a consistently visible shopping carts in a user’s path on website. The most popular Bitcoin products for WordPress are payment gateways that allow online stores to accept Bitcoin as payment for goods and services. There is an array of payment gateway plugins, each with their own unique benefits, providing cryptocurrency payment options for customers. Bitcoin (BTC) is a decentralized cryptocurrency payment system designed by Satoshi Nakamoto and released to the public in 2009. Bitcoins are actually just secret digital codes. The seller uses a wallet to transfer the ownership of the coins to the buyer. Once the purchase is complete, the secret codes are now owned by the buyer and not the seller. Bitcoin has been called “digital gold,” and for a good reason. To date, the total value of currency is close to $9 billion US. A Bitcoin wallet is simply an app, website, or device that manages Bitcoin private keys for the owner. Cryptocurrency is a digital currency in which encryption techniques are used to regulate the generation of units of currency and verify the transfer of funds, operating independently of a central bank. Bitcoin is the most popular cryptocurrency. Blockchain is a digital ledger in which transactions, made in bitcoin or another cryptocurrency, are recorded chronologically and publicly. 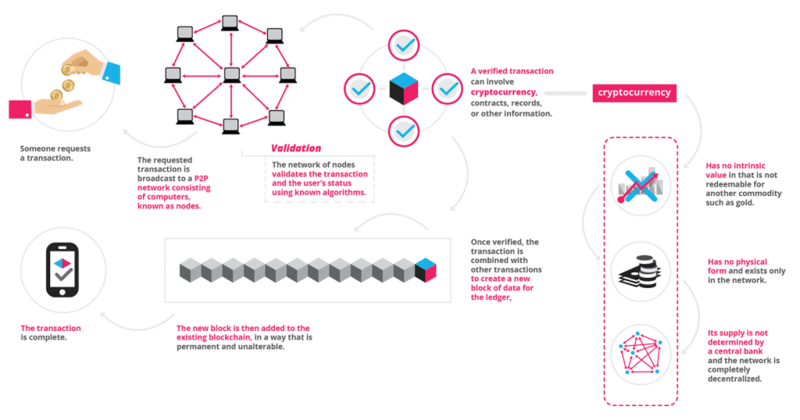 A blockchain is a digitized, decentralized, public ledger of all cryptocurrency transactions. A global network of computers uses blockchain technology to jointly manage the database that records Bitcoin transactions. Bitcoin is managed by its network, and not any one central authority. The blockchain network lives in a state of consensus that automatically checks in with itself every ten minutes. A kind of self-auditing ecosystem of a digital value, the network reconciles every transaction that happens in ten-minute intervals. Each group of these transactions is referred to as a “block”. A network of computing “nodes” make up the blockchain. Each node gets a copy of the blockchain, which gets downloaded automatically upon joining the blockchain network. Every node is an “administrator” of the blockchain, and joins the network voluntarily, however, each one has an incentive for participating in the network: the chance of winning Bitcoins. Nodes are said to be “mining” Bitcoin, but the term is something of a misnomer. In fact, each one is competing to win Bitcoins by solving computational puzzles. There are an estimated 1400 cryptocurrencies (exchangeable value tokens) at the time of this writing, as well as a range of other potential adaptations of the original blockchain concept active or in development. Cryptocurrencies and the blockchain have the potential to provide almost instant transfers of money from one country to another, removing intermediaries, regulation and high commissions in $450 billion of global money transfers. For example, the BitPesa service, which is currently operating in Nigeria, Kenya, Uganda, Tanzania, Senegal, and the Democratic Republic of the Congo, developed a blockchain based global payment network which allows faster and much cheaper money transfer transactions than traditional payment systems. Almost 40% of people in the world have no access to the global financial system due to inefficiencies which could be solved with cryptocurrencies and blockchain technology. Check out Ripple, the leader in enterprise solutions for global remittance.